The Corona is the extended outer atmosphere of the Sun. The corona is much larger than the Sun itself. The corona merges smoothly with the solar wind that fills the solar system. 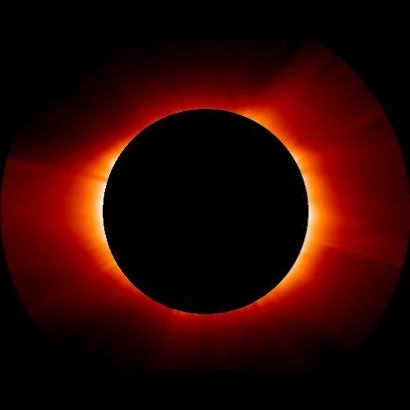 The temperature of the corona is several million degrees. The Sun's corona, taken by the SOHO satellite with a special camera that blocks out light from the Sun's main disk. Courtesy of SOHO consortium. SOHO is a project of international cooperation between ESA and NASA.